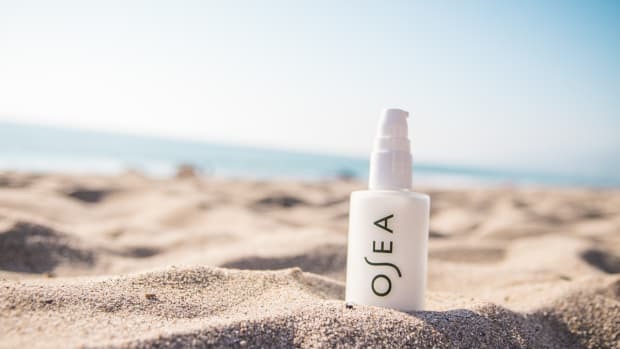 Coconut, pomegranate, cacao, acai, baobab, and maca--superfoods are no longer just smoothie fodder; they’ve become a highly-effective mainstay in natural and organic skincare products, like those found in the Evolve Organic Beauty line. Although what actually constitutes a particular food making it to the coveted list of superior snacking is still up for debate, the fruits, vegetables, roots, herbs, and other fare that get to mingle among the elite do have a few things in common. They’re rich in antioxidants, vitamins A and C, amino acids, and phytonutrients, so there’s a reason you’d want to smear these on your face after gulping down your green juice. 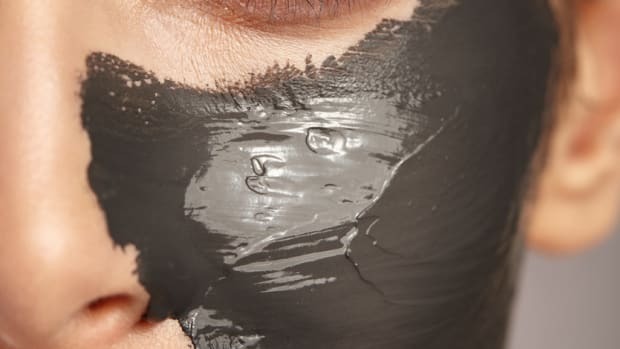 And while they won’t make up for a clean, healthy diet, superfood-infused skincare found in the Evolve Organic Beauty line can make a difference in the quality of your skin, especially when used consistently. 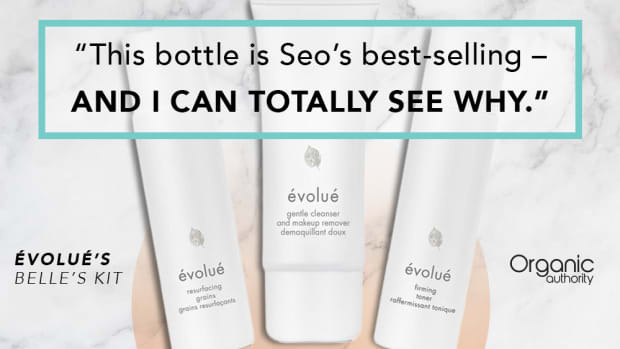 Tim Rush, the communications consultant for Evolve Organic Beauty, reached out a few months back to introduce me to the United Kingdom-based brand and to let me know that several of the brand’s award-winning products can be found on Credo’s virtual shelves. 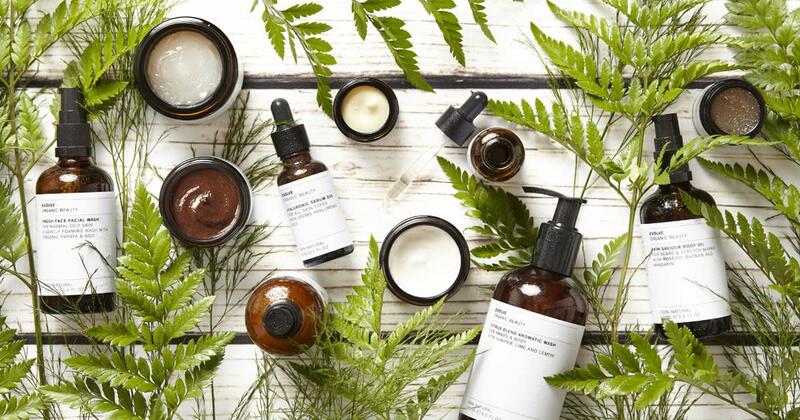 Founded by Laura Rudoe, the natural and organic skincare line is made by hand in the Hertfordshire studio, complete with an affixed label displaying the artisan’s name. “Fresher when you open the bottle,” the small-batch manufacturing process ensures quality, attention to detail, and a personalized feel with every use. 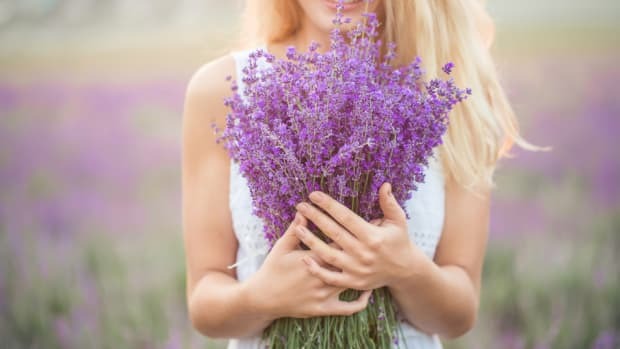 In addition to being infused with superfoods, Evolve Organic Beauty also incorporates other nourishing, and sometimes unique, ingredients. Copaiba -- an essential oil originating from the sap of a tree in South America that reduces inflammation, protects against infections, heals the skin, and prevents fungal growth. Prickly pear -- a fruit belonging to the cactus family, this ingredient is anti-inflammatory, can brighten and smooth the skin, reduces dark circles, and aids in healing blemishes. Peptides -- in short, peptides are chains of amino acids that can assist in boosting collagen, which we all lose as we age. Peptides have the power to encourage skin elasticity, increase hydration, and diminish the appearance of aging. Using these products for a month meant I needed to get a skincare routine in order. Idrew inspiration from Korean beauty and settled into a regime that I enjoyed and would recommend to anyone interested in trying the Evolve Organic Beauty line of skincare. Step 1: Daily Detox Facial Wash - This was excellent for removing my makeup for the day, including mascara, and as a nightly skin cleanser. It includes moringa peptides, organic papaya, and goji. Step 2: Liquid Crystal Micellic Cleanser - I treated this pomegranate and rose formula like a toner and used a few drops with a cotton pad on my face after step one. Step 3: Hyaluronic Serum 200 - With 200 mg hyaluronic acid, to me, this was like a line eraser and skin-evening treatment, so I always followed-up with a moisturizer after to ensure my face and neck didn’t dry out. 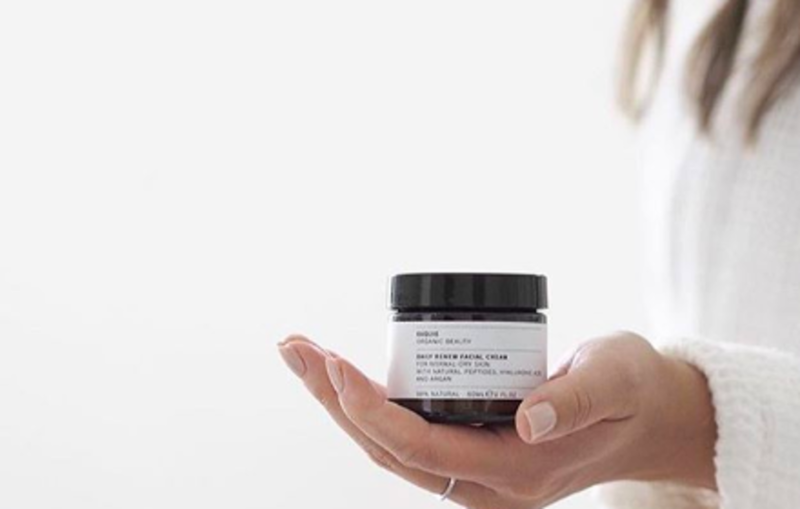 Step 4: Daily Renew Facial Cream - Substantially moisturizing, this thick, creamy formula is packed with peptides, argan oil, and more hyaluronic acid. Step 5: Radiant Glow Mask - Let me start by saying that I am in love with this mask and never want to live without it. It is creamy, exfoliating, and smells just like chocolate. The raw cacao and coconut leave my skin feeling renewed. I recommend using it once or twice per week. My early-thirties skin was left hydrated, soft, and brighter than I ever expected. Thrilled by the multi-sensory approach, I appreciated the natural, aromatic scents, the journey through various textures and colors, the benefits of using superfood-rich skincare on my face and neck, and the affordable price point for each product, knowing that I could continue this routine long after I’ve used the last drop. So What Makes A Superfood &apos;Super&apos; Anyhow? *DISCLAIMER: HELP SUPPORT Organic Authority! OUR SITE IS DEDICATED TO HELPING PEOPLE LIVE A CONSCIOUS LIFESTYLE. WE’VE PROVIDED SOME AFFILIATE LINKS ABOVE IN CASE YOU NEED TO PURCHASE ANY OF THESE PRODUCTS.